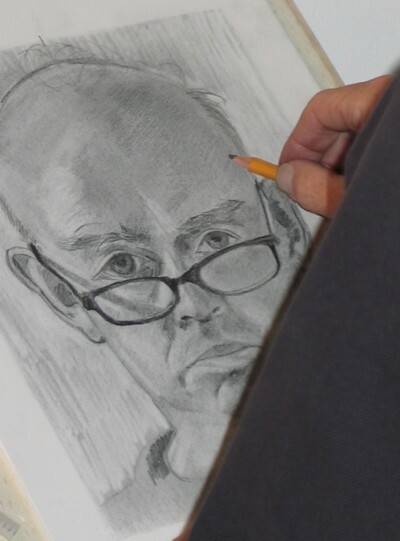 UK Course Dates for 2011 Will be announced here next month but I'll send out details to my mailing list before then so contact me to go on my mailing so you hear about new dates as soon as they are announced. I'll be going back to North Wales next year so I've left the details here so you can be tempted...! I'll be announcing next year's dates in London and Wales first to my mailing list and then here in the November Newsletter, so do get in touch if you want to hear about them first! "The course has delivered on all levels... I never believed I could draw but now I know I just need practice to become more than competent. The venue at Trigonos is superb. The setting made this a relaxing and congenial break. Finally I'd say this is one of the best things I have ever done." I've been patiently waiting for my phone contract to expire so I could upgrade to an iphone just so I could draw! Finally that moment came and the last couple of weeks I have been getting to grips with drawing on my iphone(you can also do it on an ITouch or IPad). There are various drawing apps but I've been using Brushes. Here are some tips that I've discovered that you might find helpful. When you want to do detail just zoom in (and toggle back and forth to 100% so you can see what the outcome is). 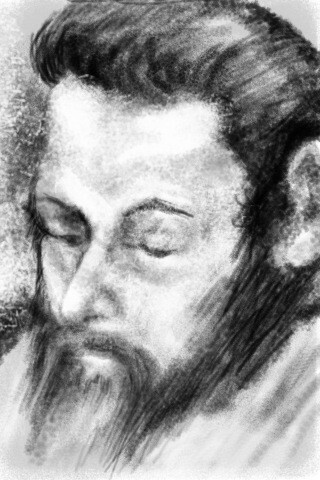 Here is a copy of a portrait by Degas done on the iphone. The original was in charcoal. The tools and techniques developed by Dr Edwards and Brian Bomeisler are based on those used by the Old Masters. Recently I've had the opportunity to try some other techniques and materials commonly used in the Renaissance. 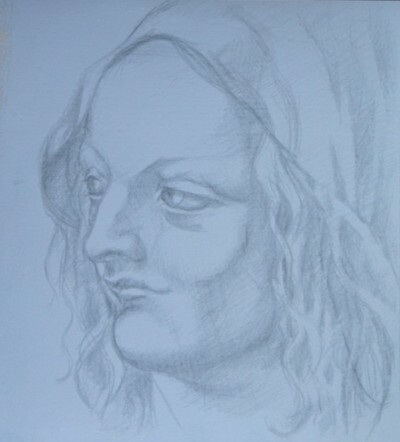 Here is a drawing done in silverpoint - it's a copy of an old master - literally drawing with silver on a prepared surface.